Poland Today sits down with Jeroen van der Toolen, CEE managing director at Ghelamco. This is a big year for Ghelamco with the opening of the Warsaw Spire and your 25th anniversary in Poland. When Ghelamco started out, what were your expectations for the Polish market? Ghelamco entered Poland at the very beginning of the 1990s. At the time, the Polish office market practically didn’t exist, and it lacked reliable and experienced companies to create new investments. Once wellqualified, international companies started their activity in Poland, the modern office market developed rapidly to lead the whole region of Central and Eastern Europe. For our company, Poland was a very promising market from the beginning; it had great potential for development. We knew from the moment we started operations here that it would be a promising business for decades. In the past twenty five years, a lot of things have changed in a positive way, and we have been actively participating in those changes, introducing new quality and environmental standards to attract both local and international tenants from various industries. We have been able to distinguish ourselves through our innovative thinking and our long-term outlook, which has enabled us to anticipate changes in the market. From what we have learned about Poland, our outlook for the future is optimistic. It has taken Poland only 25 years to become one of Europe’s most respected economies and most attractive markets. I believe that the real estate market will continue to strengthen and, in the next 25 years, Poland will grow and become even more important within Europe and the world. What are the key developments in the office market in 2015 from your perspective? In 2015, the Polish commercial real estate market was highly active. At the end of the third quarter in 2015, total volume of office space in Warsaw amounted to 4.6 million sqm, with nearly 240,000 sqm of modern office delivered in that timeframe. The unparalleled dynamic of the market is reflected in the demand for office space. Last year saw a surge in the volume of lease transactions and net absorption; in Warsaw, for example, the outcome of the first three quarters of 2015 were equal to or higher than in 2014. We are glad to have participated in this dynamic growth – 2015 was also a record-breaking year for our company in terms of lease volume. Last year, we signed lease agreements for 80,000 sqm of office space in Warsaw and Łódź. This is the best result in our 25-year activity here, but also among all of the commercial developers operating in Poland’s office property market. We are really proud to have concluded the largest transaction outside Warsaw by leasing of 24,000 sqm of office space to mBank for its new seat in Łódź as well as concluding a record deal for the Warsaw CBD, leasing 22,000 sqm in Warsaw Spire to Samsung. There are a lot of developments planned or under construction in the Wola area around Towarowa and Rondo Daszyńskiego. It’s clearly a dynamic area, but will there be a challenge in terms of access by road, parking and other infrastructure? We saw potential in the Wola district and are proud to have initiated a redefinition of the area, shifting Warsaw’s CBD border further westward. We had a vision to bring change to the district many years ago through our office developments: Crown Tower, Crown Point, Crown Square, and Prosta Office Center, and our more recent projects, the Warsaw Spire office complex and Wronia 31. Rondo Daszyńskiego in particular is becoming a new business hub of Warsaw. It’s crucial to have a holistic, sustainable approach towards commercial projects, and consider how they influence the urban fabric. We created Plac Europejski because we think an inhabitant-friendly urban space is what the quarter was missing for years. The square will combine commercial and public functions and will be a great meeting space for all Varsovians. We don’t want to slow down in Wola and we have more projects in the pipeline, including Sienna Towers, Spinnaker and an investment next to Plac Zawiszy, in the centre of Warsaw. For each newly developed project, we analyse the infrastructure and traffic and create solutions for cars, like vast underground parking spaces, and for bicycles, such as parking spaces and ramps. We also support the city bicycle rental network and financed a post of Veturilo at Plac Europejski. For Wola, the second metro line also drives development, along with the well-developed network of trams, buses and trains. We knew how important this was and decided to integrate Sienna Towers with the underground, making the project one of Warsaw’s first to have direct access to the metro station. 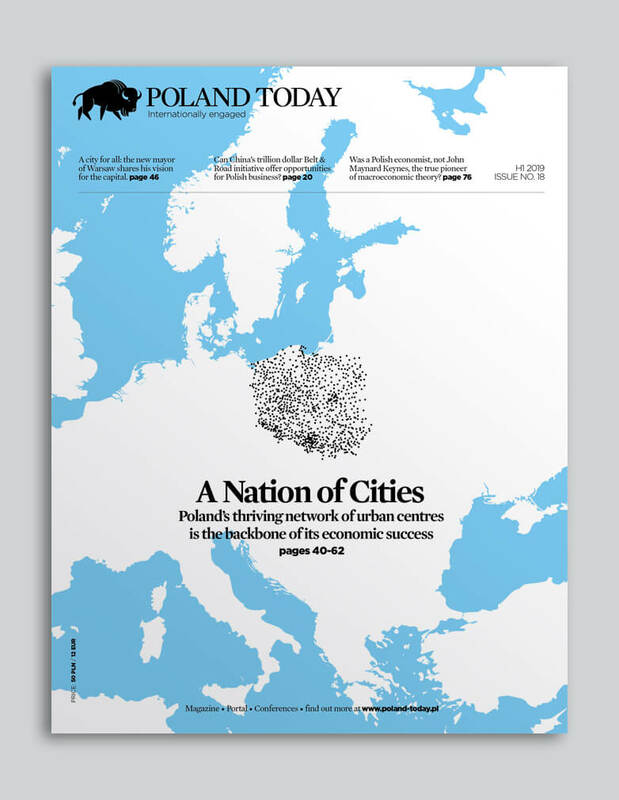 Businesses like the fact that there is a lot of potential growth in cities in Poland. How much of a factor is this in your development plans? Apart from Warsaw’s office market, we have planned an extensive development in both regional markets and other market sectors, such as residential and retail. We are currently developing Przystanek mBank in Łódź, our first project in the city. We are continuing to search for new development opportunities and have a few projects underway in other regional cities. But looking at the regional markets from a wider perspective, I think their potential lies in connectivity, not just attractive plots or workforce availability. Good infrastructure is a key factor, and the gap will grow between cities that have good railway links, airports and road connections, and those that don’t. Cities that have good transport links will gain importance, investment and jobs, and, from a real estate perspective, they will become more attractive for investment. Ghelamco is seen as an office developer first and foremost. Now you’re branching into retail. Why is this and what plans do you have for the retail sector? To respond to changing customer requirements we want to propose an alternative to the large-scale shopping centres. We want to fill a niche for convenient, medium-sized neighbourhood centres that cater for the needs of the local community. Our first local centre, Plac Vogla in Warsaw’s Wilanow, was launched in October last year. The project, with approximately 5,200 sqm retail space, has as many as 30 premises, including high-quality shops, restaurants and cafes. The concept is a carefully designed, one floor-high building with all premises accessible from street level. We think the architecture of Plac Vogla matches with the prestigious neighbourhood of Wilanów. Also, future projects such as Pasaż Tukanów in Piaseczno and Prochownia Łomianki, will be tailored to local communities. They will combine a tenant mix to suit the individual needs of shoppers and feature space for holding local events. Do you have plans for other sectors? We have seen that the demand for luxury residential real estate has been rising and that the market has very good prospects. Poles are increasingly valuing this niche so we knew we had to start investing in it. Our new investment, Foksal 13/15, is located in the very heart of historic Warsaw. We are building state-of-art real estate, the status and value of which we believe will be incomparably higher than any other newly built projects. And using a team of experts, we will be restoring the buildings to their former splendour, in consultation with the Office of the Historic Buildings’ Conservator in Warsaw. As far as we are aware, Foksal 13/15 will be the only investment in Poland’s luxury real estate market to feature such authentic architectural detail from the past. Each of the luxury apartments will be tailor made specifically for clients’ needs. Jeroen van der Toolen, managing director for CEE at developer Ghelamco.